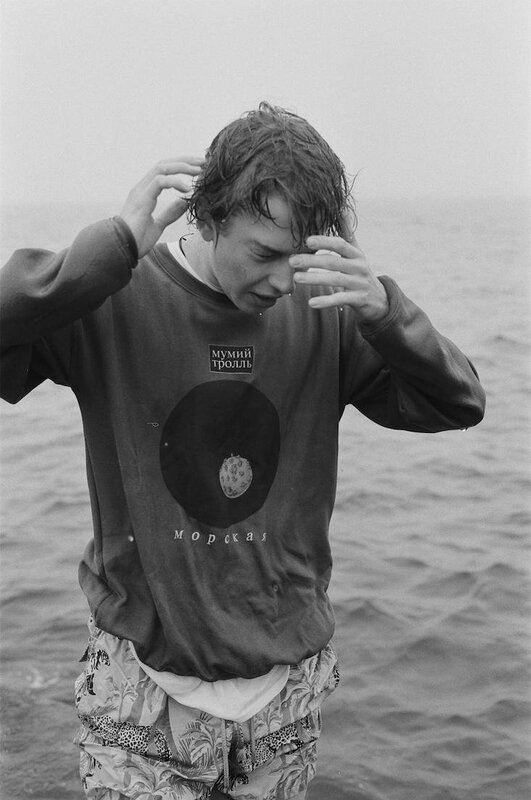 Today Russian fashion designer and photographer Gosha Rubchinskiy launches his new capsule collection, created to mark the 20th anniversary of cult rock group Mumiy Troll's landmark album Morskaya. Founded in the far eastern city of Vladivostok in 1983, Mumiy Troll exploded with the release of Morskaya (meaning “nautical”) in 1997. The album saw Mumiy Troll become the sound of late 90s Russia. 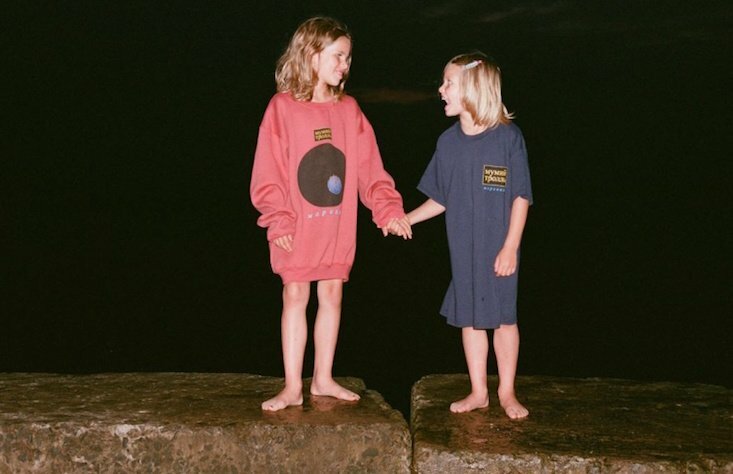 According to an interview by i-D, the Morskaya collection was born of the long term friendship between Rubchinskiy and Mumiy Troll frontman Ilya Lagutenko, whose daughters feature in the lookbook. 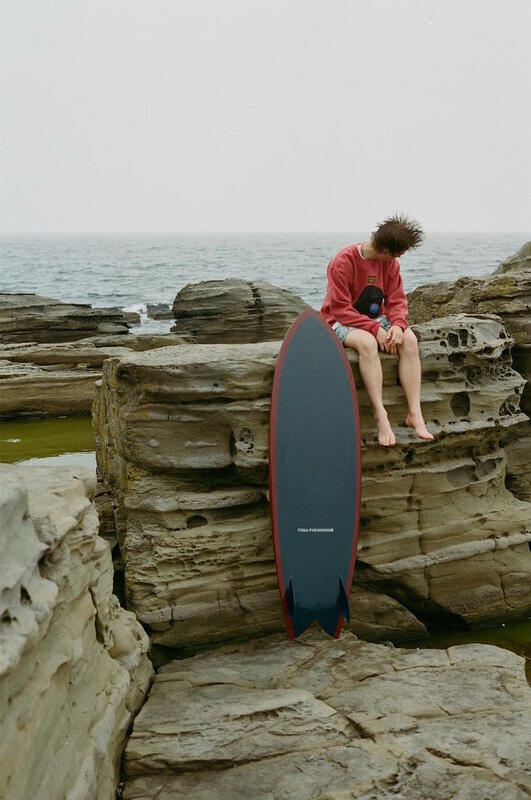 Fittingly, Rubchinskiy has infused the collection with a distinct nautical vibe, and travelled to shoot the lookbook at a marina in Vladivostok, as well as nearby Russky Island. The limited edition capsule collection encompasses an oversized crew neck sweat shirt and two T-shirts. They will be available to buy at Dover Street Market London, New York, Ginza and Singapore, Paris Trading Museum and Comme des Garcons Seoul shops, as well as online. Sorry, surfing fans — the surfboard seen in the lookbook is not for sale.